It was a bit more than 13 months for me, it’s been nearly 4 years since I last set foot in New Zealand, but today I went to Hobbiton for the second time. What a difference 4 years and a new trilogy makes! I had a really pleasant 1 hour drive from Hamilton to Matamata (almost no other cars on the road, yay) and arrived to see the i-Site building very changed indeed. It’s a lot bigger and reworked to look more “Hobbity”. Our driver was Dan, or “Dandalf” as he called himself and our guide for the day was Tobias. 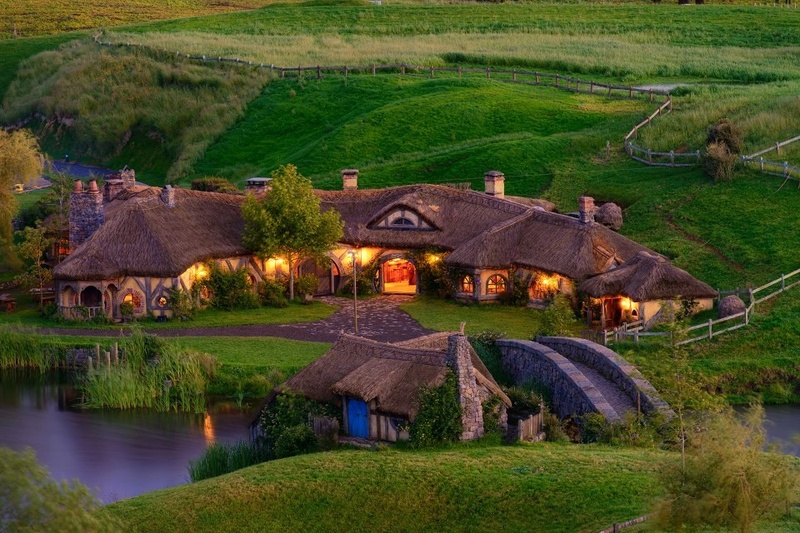 The Shire was so changed I hardly recognized it from my visit in 2010. 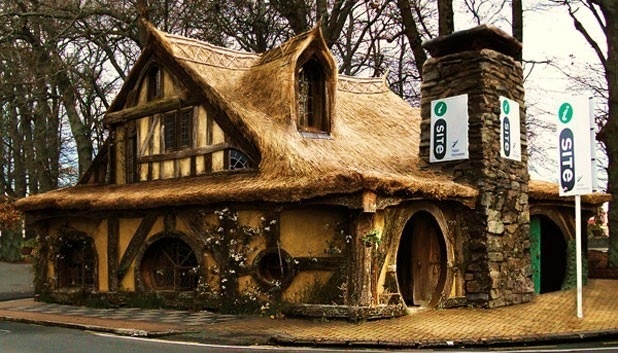 All the hobbit holes are restored and made in real, durable materials. Gone is the ply wood and styrofoam entrances, the round doors are all hard wood and fantastic details are layed in. You can easily tell what each hobbit did looking at their front yard. The landscape was even more lush than in 2010, more plants, more vegetables and more clothing lines with miniature hobbit laundry drying in the breeze. Three things stand out to me from this visit (not counting my sunburn). The way the Shire looked when I came through “Gandalf’s Cut”, where Gandalf’s cart comes around the bend and the Shire opens up in front of him. I kind of got the same feeling from when I see the film. The second is Bag End itself. It looked absolutely beautiful, not just the empty front door and holes where the windows should be. Real windows with gorgeous iron wrought details and the large, green door was in place. The “No admittance”-sign was in place on the gate and the plants where overflowing. It was quite the sight. Unfortunately you are no longer allowed to go beyond the gate and the whole place has a more “no touching”-feeling than I remember. I can understand why, with the sheer number of tourists interested in getting up close and personal with the props, and I have to admit, it didn’t take as much away from the experience as I feared it would. 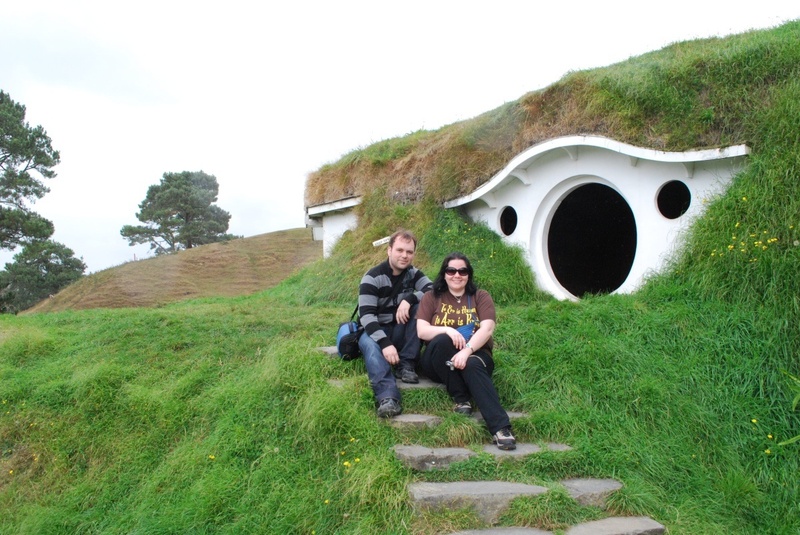 (Though I’m still very glad Andreas and I got the picture of us sitting on the steps in front of Bilbo’s door). The last thing I’d like to mention is a completely new feature: The Green Dragon. Yep, that’s right people. You can now enter The Green Dragon and get yourself a drink and a nice steak and ale pie if you’re hungry. (One of the best parts is crossing the Shire bridge to get there, mint!). 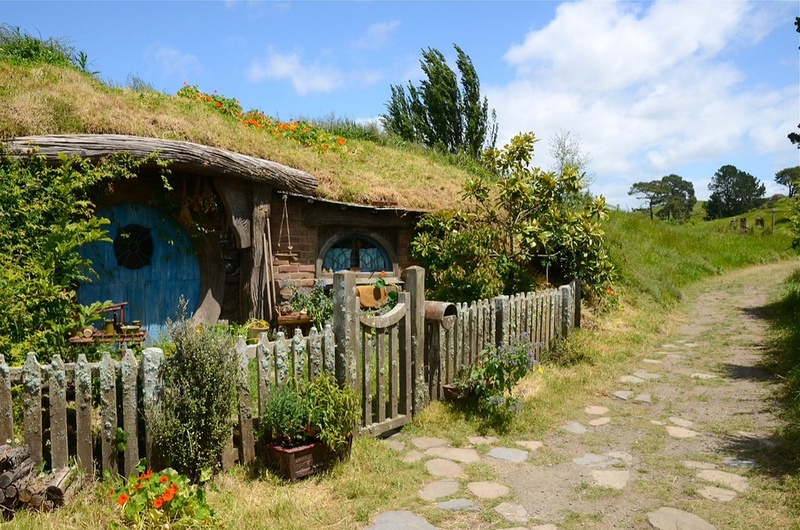 The exterior and interior are super cosy and like everything LOTR, stunning in its details. 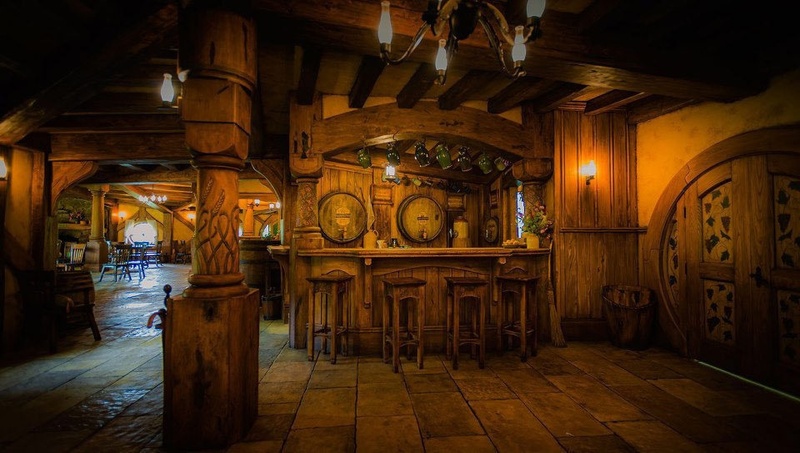 The interior was absolutely gorgeous with little Hobbit signs and notes everywhere and a proper pub feeling. I’m really glad I bothered taking the trip a second time, I met two lovely, picture crazy Chinese girls, Lillian and Echo and had a great day out in the sun with my fellow Hobbit enthusiasts. I’ll do a gallery post with more pics when I’ve sorted my camera transfer problems out, hopefully Lillian will have sent me hers by then too.